In 1957, EM Forster, looking back in old age, wrote that the late-empire world of A Passage to India "no longer exists, either politically or socially". Today, approaching 100 years after its composition, the novel is probably as "dated" as ever. 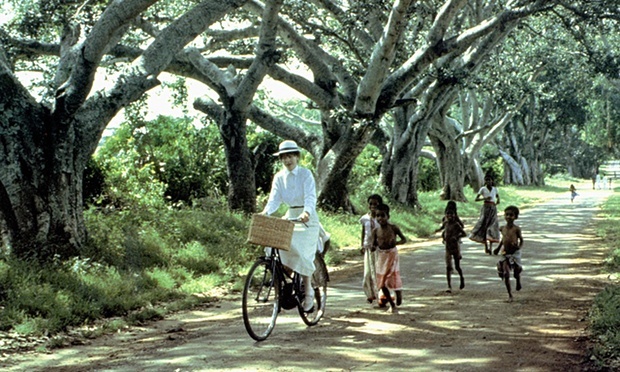 Yet – because Forster's concern is the forging of a relationship between a British schoolteacher and a Muslim doctor, reflecting the larger tragedy of imperialism – A Passage to India stands as a strangely timeless achievement, one of the great novels of the 20th century. The part of A Passage to India that most readers remember, of course, is the tortuous romantic drama of the Marabar caves. Thus: when Adela Quested, an English schoolteacher, and her companion Mrs Moore arrive in Chandrapore they enter colonial India, a place obsessed with the promotion of British values and the British way of life. The idea is that Adela will meet and marry Mrs Moore's son Ronny, an eligible but bigoted British civil servant, the city's magistrate. But Miss Quested, as her name implies, has other ideas. Rejecting the prejudice and insularity of the British community, she sets out to investigate the "real" India, assisted in her search by Dr Aziz, a young Muslim doctor who naively wants to promote an entente between the master race and its colonial subjects. Each, in turn, is encouraged by the head of a local government college. Aziz arranges for Miss Quested and Mrs Moore to visit the famous caves at Marabar. There, in a classic episode of Forsterian "muddle", something happens between Aziz and Adela that disgraces the doctor, and inflames the furious hostility of the British sahibs. In the crisis, Aziz, already disdained as "spoilt westernised", is imprisoned. Eventually, after a trial, Adela withdraws her charges and Aziz, radicalised and angry, moves to the native state of Forster's imagination. "I am an Indian at last," he says, and he stands alone in the monsoon rain. There, in the closing part of the novel, he is visited by Fielding, the British schoolteacher who had been his great confidant and friend. The Aziz-Fielding relationship tormented Forster. In a passage that caused him great creative agony, he wrestled with the complexity of an east-west understanding. "But the horses didn't want it – they swerved apart; the jail, the palace, the birds, the carrion… they didn't want it. 'No, not yet,' and the sky said, 'No, not there.'" It is a bleak but prescient conclusion: the issue of east and west is no nearer a resolution today than it was 100 years ago. EM Forster visited the caves of Barabar in January 1913 on his first visit to India. It was an experience he never forgot, and it was into his fictional caves of "Marabar" that he sent Mrs Moore and her young companion, Adela, in the central and all-important section of his masterpiece, Part II, Caves. On his return from India, he began to write an Indian novel, but abandoned it to write Maurice, a novel of homosexual desire that would not be published until after his death. He did not return to his "Indian" manuscript until 1921, having recently accepted a post as private secretary to the Maharajah of Dewas. Nevertheless, the experience of writing the novel was hardly fulfilling to him. He admitted privately that he was "bored by the tiresomeness and conventionalities of fiction-form", especially "the studied ignorance of the novelist". The last section, Temple, was Forster's attempt, after a long struggle, to lift the narrative to a higher plane, as well as to resolve the unbridgeable conflict within the Raj. A Passage to India was published on 4 June 1924 by the British imprint Edward Arnold, and then on 14 August in New York by Harcourt, Brace and Co. Forster borrowed his title from a Walt Whitman poem of the same name in Leaves of Grass. By the end of the year, there were 17,000 copies in print in Britain and more than 54,000 in the US. Forster's best-ever sales were matched by enthusiastic reviews. Only in India were critics exercised by his portrait of Anglo-Indian society. Today, he is seen as eerily prescient. The typescript of A Passage to India, with many manuscript revisions, is now held in the library at King's College, Cambridge, Forster's home throughout his later years. As many have noted, Forster never wrote another novel, and lived until 1970, aged 91. For 46 years, his reputation grew with every book he didn't write.Maurice (written 1913-14), an explicitly homosexual novel, was published posthumously in 1971. A Room With a View (1908); The Longest Journey (1907); Howards End (1910).